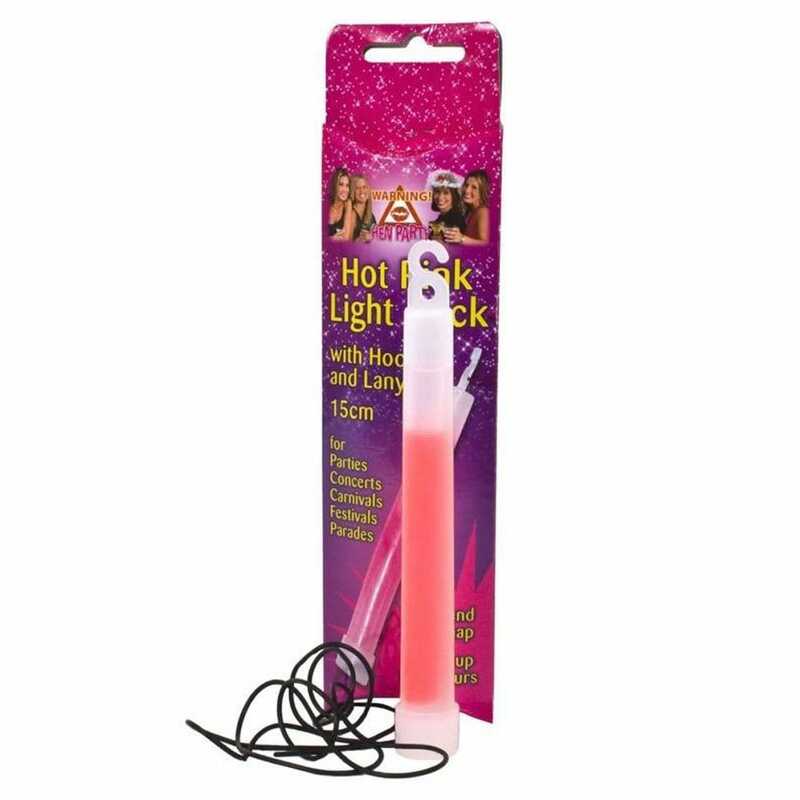 Light up the town with these Hot Pink Light Sticks. The light stick comes with a hook and a lanyard so it won't get lost. Simple to use and lasts up to 6 hours. This accessory is ideal for the bride to be and all the hens for a fun night out.